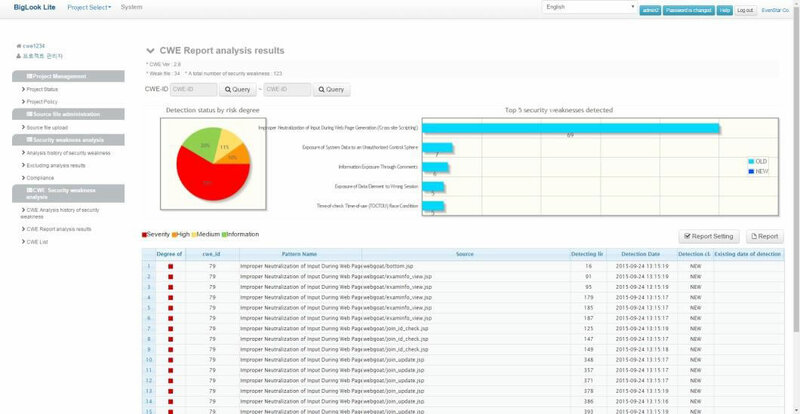 BigLook provides the source code security Weakness analysis tools. 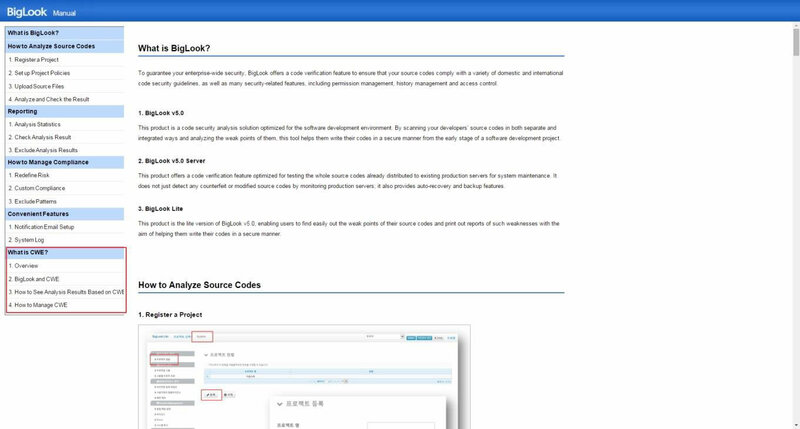 BigLook authority management for verification and internal security management source code of security compliance standards of various countries and internal and external source code for security companies, history management, it will support the access control. 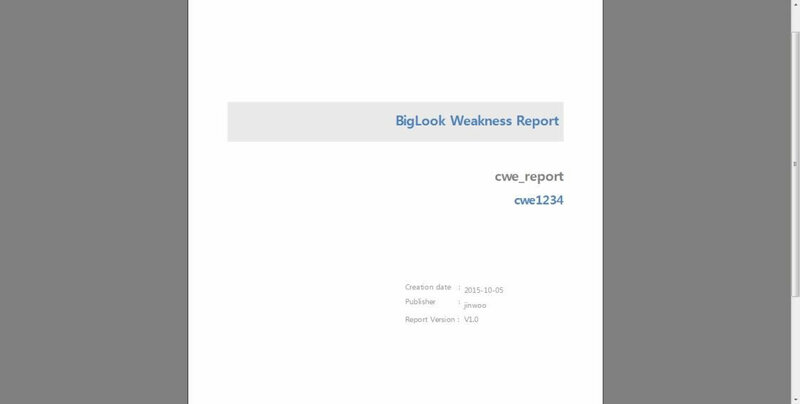 The up-to-date CWE version appears on the Mapping page of the BigLook online manual. 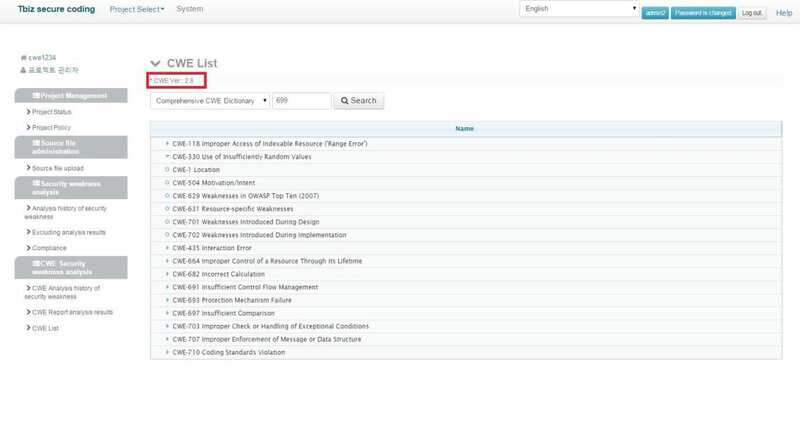 The up-to-date CWE version appears on the Mapping page of the product article is comprised of an index, by providing a copy of the resource and the entry is listed in the index for the product CWE explain how CWE item is posted to the website. 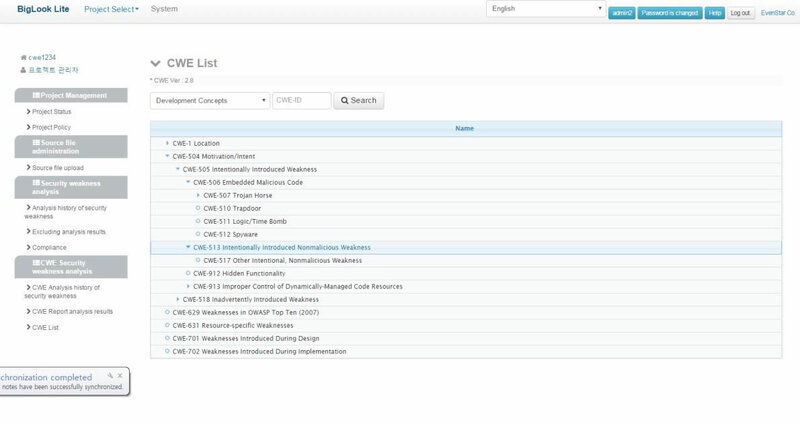 Explain that the specific information about how the user uses the CWE identifier (ID) to find the individual security elements which are stored in the location where the product. 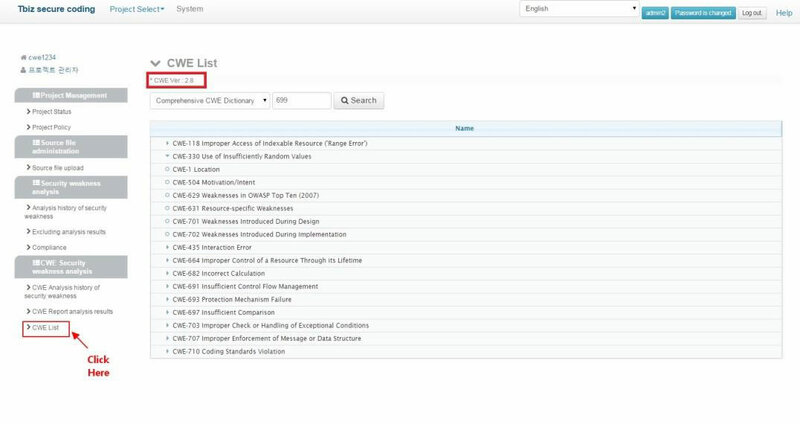 product article is comprised of an index, by providing a copy of the resource and the entry is listed in the index for the product CWE explain how CWE item is posted to the website. 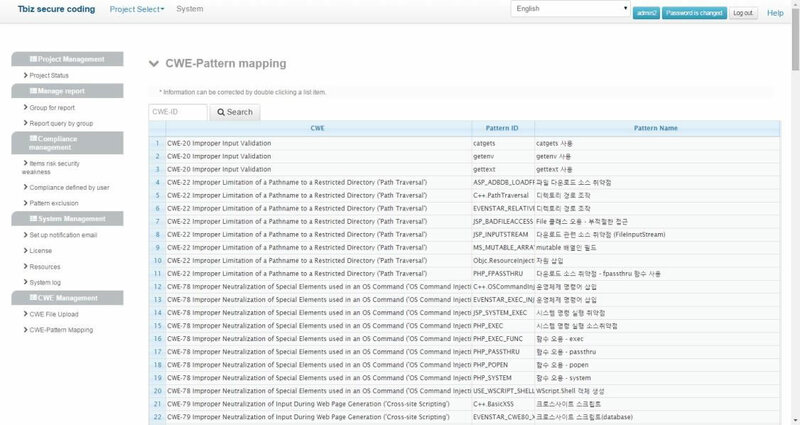 When selecting CWE ID provides vulnerability mapping and vulnerability details. 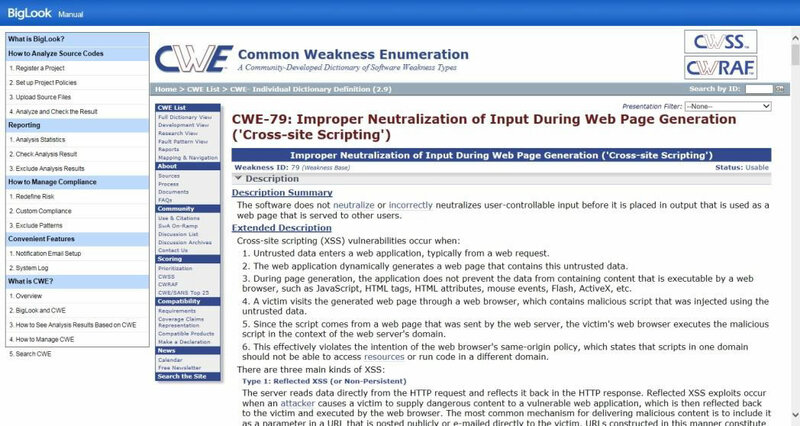 It provides an efficient tool for description and examples on how to bring the CWE identifiers. 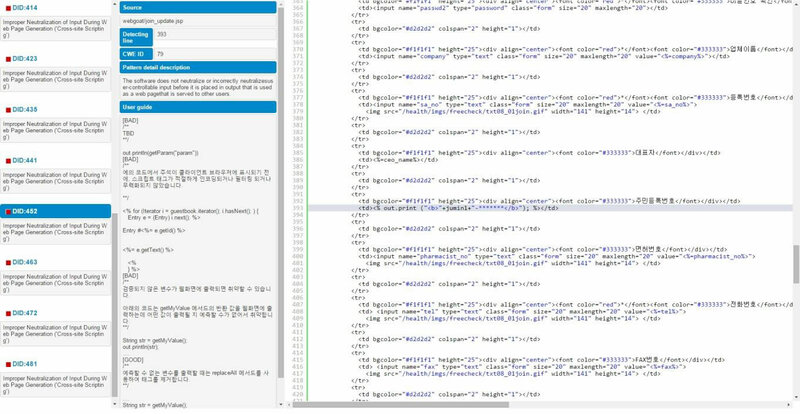 See the <CR_A.2.1> and <CR_A.2.3>. 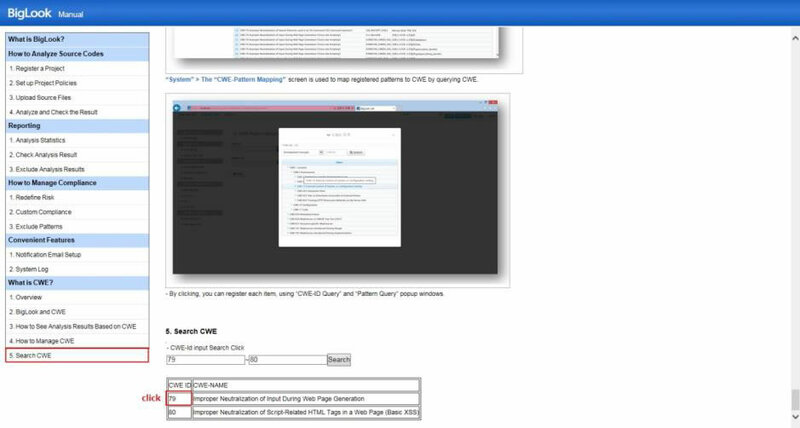 CWE-ID lookups and queries in the CWE List pop-up window. CWE-ID is selected CWE Report analysis results are delivered to the screen. To view the list of CWE-ID. 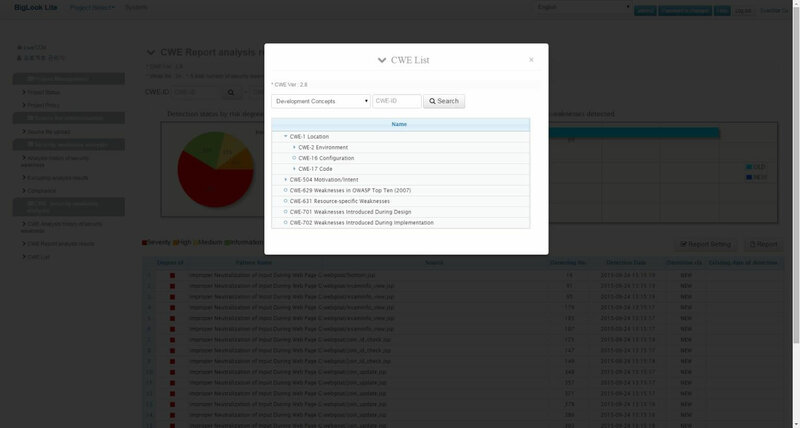 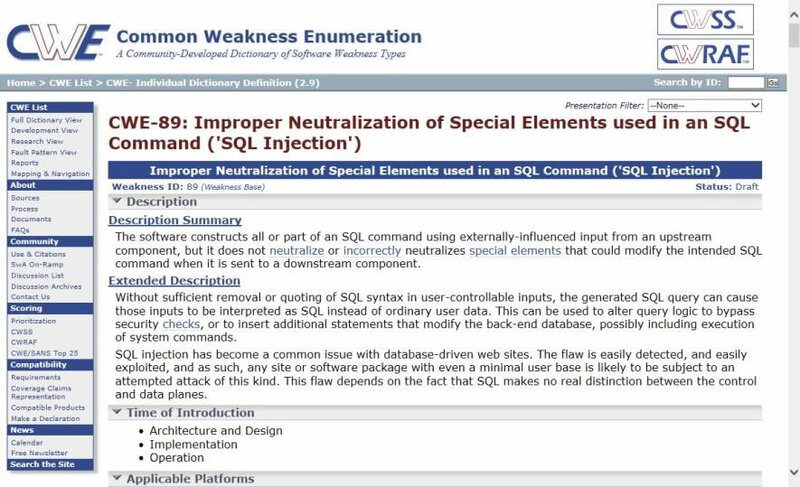 The user describes the individual CWE identifier search and release procedure. 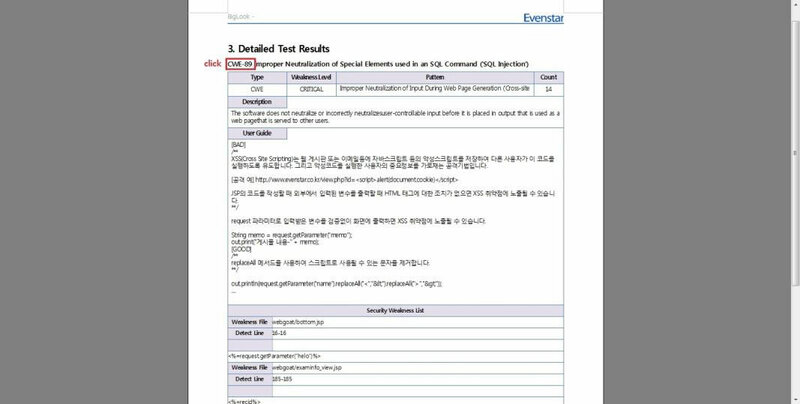 Please see the answer to <CR_A.2.1>. 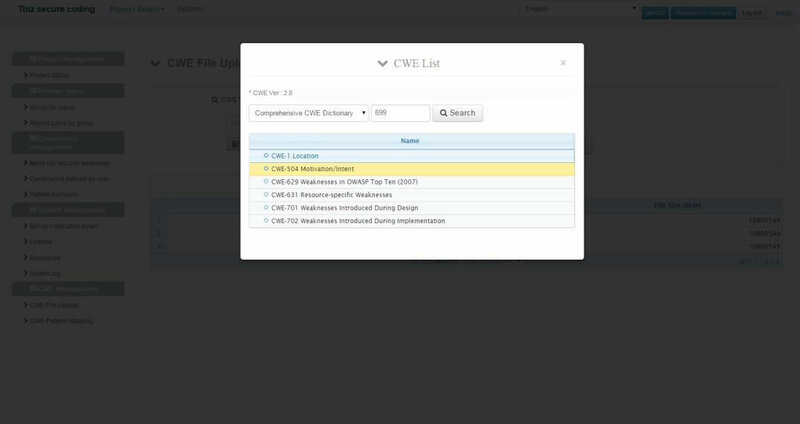 When you upload a newest version(cwe v2.8.xml) provided by mitre stored successfully uploaded to the list of all the CWE identifiers CWE List screen is display. Biglook is analyzed by uploading a compressed source file. Lists the detected based on the generated key analysis (analysis_id) vulnerabilities. 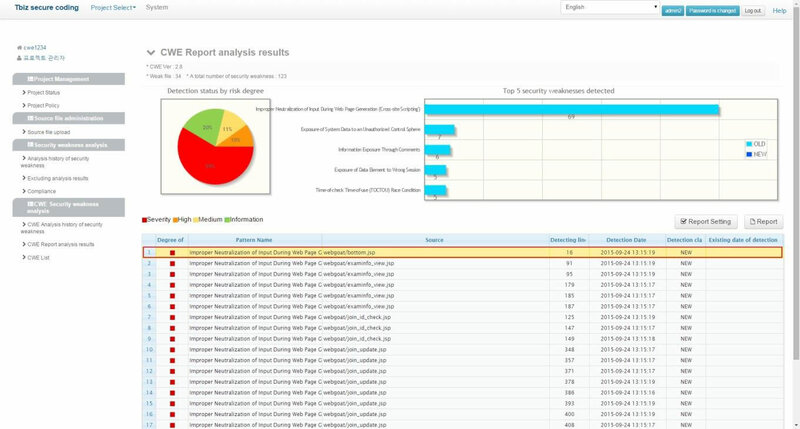 The detected vulnerability has a respective detection pattern, and the detection patterns are used by the mapping identifier with the CWE.